When we were all still kids I joined a band with two of my brother’s friends (Murray Henderson and David Sergeant) and Michelle Freeman called Ancient Monsters. They released 3 records and I like them all. We were free and fearless and those guys were special people. Dave and I joined Fabrice Gamon (Paris, France) and Greg Gobel (Cleveland, Ohio) and together we started Marcus Doo and the Secret Family. We lived in Spain and toured a lot; did a lot of TV and National Radio in Spain played a lot of festivals (Vigo Transformer, Benisaccim amongst others) and released The Magpie Returned the Ring. The really brilliant actor Rocio Leon joined us on that one to sing some pretty amazing vocals, for which we're very grateful. Xisco Rojo joined later and together the guys and I toured more and we wrote music for Ted Hughes’ Gaudete for the Spanish Royal Theatre. We also made a soundtrack for the Chema Rodríguez movie: Anochece en la India. 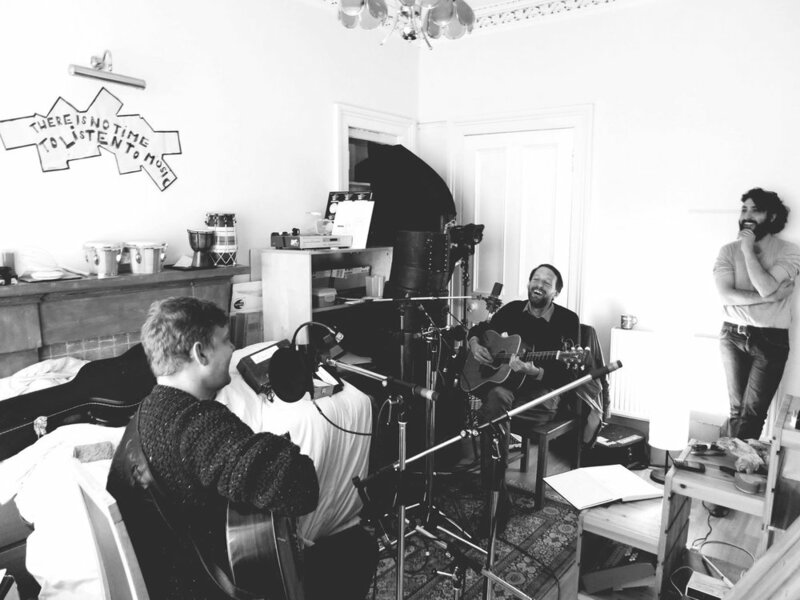 In 2015 I moved back to Glasgow and met some old friends, Mike Hastings and Alasdair Roberts. With Mike (Trembling Bells, Mike & Solveig), Alex Neilson (Trembling Bells, Bonny Prince Billy, Alex Rex etc), Alasdair Roberts and Tom Davis (Big Hogg) I made Kid Wonder, my first solo record.